Sorry I haven’t posted my blog properly this last week, I have just been so busy! Lots of new dogs (and owners!) to meet with….it’s a great complaint! Also, I have hardly taken any photos recently as the weather has just been so bad – raindrops on the camera lens is never a great photo! 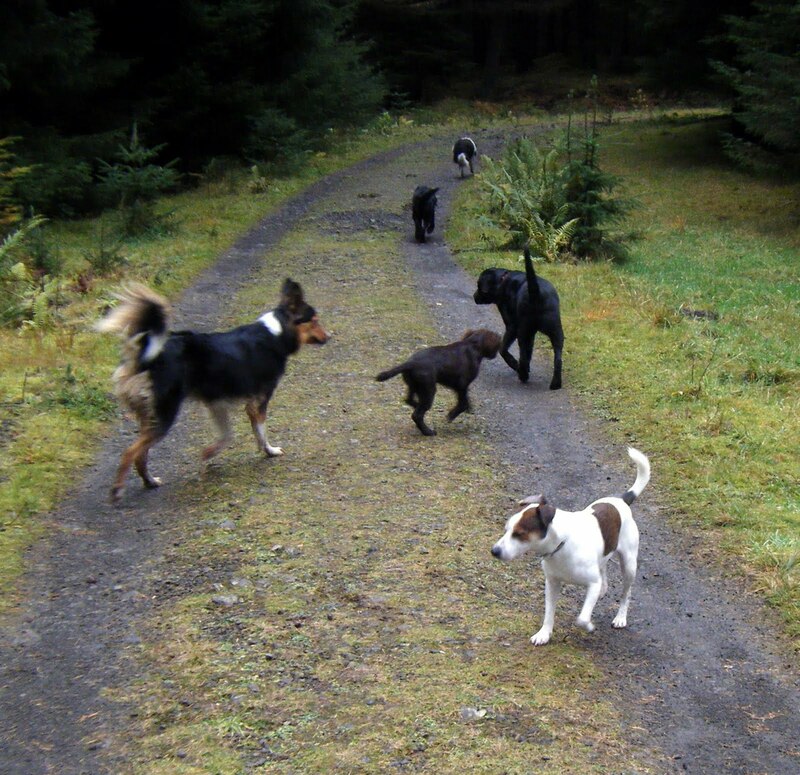 Two great walks today with the rain (nearly) staying off for the whole time….out with me this morning were Holly & Ivy, Rudi & Sheulie, Monty, Lucy and Herbie. We had a great walk over Dumbrock Moor, which was cattle free today!